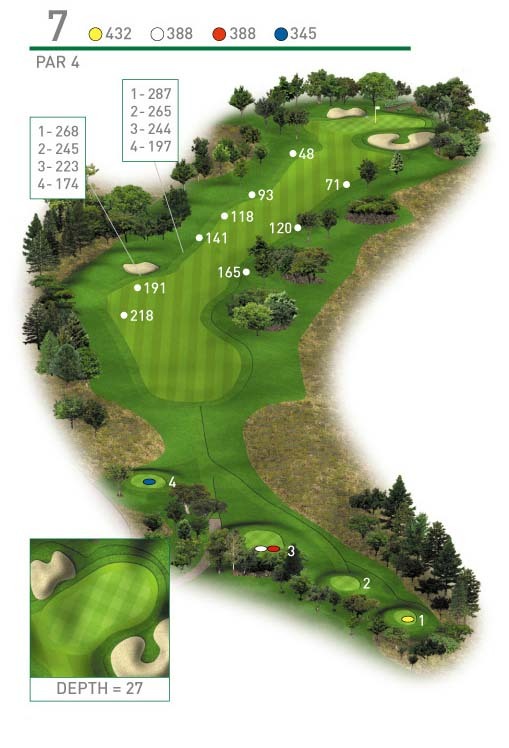 A par 4 dogleg right played uphill on the drive with two hazards capturing any wayward drives. The first is the tree commonly known as the “Gobbler” on the right which is to be kept clear of. The second is the fairway bunker positioned further up the fairway on the left. The green has two well positioned bunkers.